Below is a briefing from Council Officers on the problems with the changes being made to the waste collection system in Edinburgh. The regrettable introduction of charging for garden waste and the move to restrict waste collection to four days per week (Tuesday to Friday) has clearly put huge demands on Council Officers. Nonetheless, mailing out almost 100,000 letters with errors is a costly mistake, I estimate it will have cost £50,000, and will cause further reputational damage. It is becoming increasingly clear to me that major changes to the waste system should be robustly piloted if we are to avoid some of the problems we have witnessed over the past 6 months. As part of the 2018/19 budget setting process, approval was given to introduce a new kerbside collection shift pattern in the waste collection service. This new shift pattern (working from Tuesday to Friday each week) will mean that night time collections of individual bins will no longer be required, residents will have the benefit of having a more consistent collection schedule and there will be less impact on Bank/Public Holiday Mondays as there will be no requirement for collections to be scheduled on these days. This change will affect approximately 175,000 properties. As part of the changes to bin collection days across the city, officers identified that some properties would experience what was felt to be an unacceptable period of time between their normal frequency of collection. A decision was made to offer additional collections this weekend (6 and 7 October) and next weekend (13 and 14 October) for properties that would have a change of more than seven days between the collection date on their old and new calendars. In addition, a small percentage of the properties which had signed up for our new garden waste service received information meant for residents who hadn’t registered for the service. We are quickly contacting all these affected residents and ensuring they receive permits and calendars ahead of the new service starting. We have additional resource in our contact centre to deal with the changes to our bin collection services and residents are encouraged to contact us if they have any questions or issues. They can get in touch by emailing waste@edinburgh.gov.uk or calling us on 0131 608 1100 (option 1, then option 9). 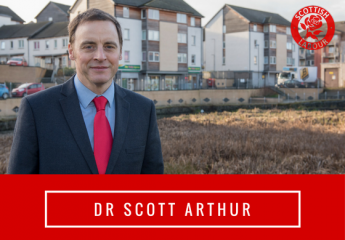 ← All of Edinburgh’s Councillors must stand up to the Scottish Government to protect services.